In 2016 I wrote about how I was stepping in to some pretty big shoes, taking the baton from Steph Locke to manage the sponsorship for SQL Relay 2017. Joining the SQL Relay organising committee was my first experience as a conference organiser. No, I didn’t realise quite how much work it would be. No, I didn’t realise quite how stressful it would be. My strategy for year one was to basically pick up from Steph and do things the way she did them. And SQL Relay 2017 was a massive success. We covered our costs and the feedback from all sides has been great. That said, I’m a big believer in continuous improvement – and I know Steph is too. Each year she was looking for ways to improve. In that vein here are a few changes we are making regarding SQL Relay sponsorship for 2018. Let’s start with a success story. SQL Relay is a fairly unique conference. The easiest way to explain it is as a free, independent, touring Microsoft Data Platform event that visits 5 different UK cities in 5 days. Logistics and teamwork are essential, luggage is light and set up and tear down is necessarily rushed. Like most community events our attendees opt in to our sponsors mailing lists in exchange for a chance to win cool prizes like lego sets and Bentleys. In the past we used to ask attendees to print out their registration pages. Each registration page would have cut-outs with QR codes on them which they would deposit in the sponsors boxes. After each of the 5 events we would have an envelope full of QR codes with emails for each sponsor. Then we would mail these envelopes to our sponsors, then the sponsors would have the arduous task of scanning each paper ticket one by one. In the end sponsors wouldn’t get their data for weeks, long after they wanted to start emailing customers. In 2017 we moved to scanners in an attempt to improve the situation. We used an app called codeREADr to manage all the lists and within a couple of days of the event we were able to send our sponsors a simple CSV. This was much easier for our sponsors and they were able to send their emails much more quickly. And apart from anything else, it feels far more secure, which aligns better with the GDPR. The bronze sponsors were getting the most signups. And not by a small margin but by an order of magnitude. They were smashing the silvers, the golds and even our platinum sponsor – by a country mile! It didn’t seem fair. But why? Simple: our bronze sponsors didn’t send a sales team. We had set up a table for them with banners and swag and an area where attendees could scan their own badges. It was really easy for attendees to enter the draw for Redgate or DBWatch and to win some cool software without talking to scary sales people like Rich and John from SentryOne. Also, our sponsor booths were busy. Dozens of people per minute could scan themselves at the bronze self-scan booth, but Rich and John (for example) couldn’t have proper conversations with attendees as fast. Those attendees who wanted to just quickly scan their badge without getting drawn into conversations had to fight through the crowds so it slowed them down. Because we had gone all virtual, it was easy to spot the scale of the issue by the afternoon of day one. The solution, once we had figured it out, felt ingeniously simple. My ex-employer would have been proud of Paul Andrew who suggested it. At lunch time on day 2, after consulting with all the on-site sponsors, we simply added a global opt-in scanner on the bronze table. This meant that while attendees could still opt-in to specific draws for individual sponsors, most opted for the global list which was shared with everyone. Now all the Silver and Gold sponsors were getting the data from the bronze sponsor table with an OUTER JOIN to the badges they scanned on their booth. 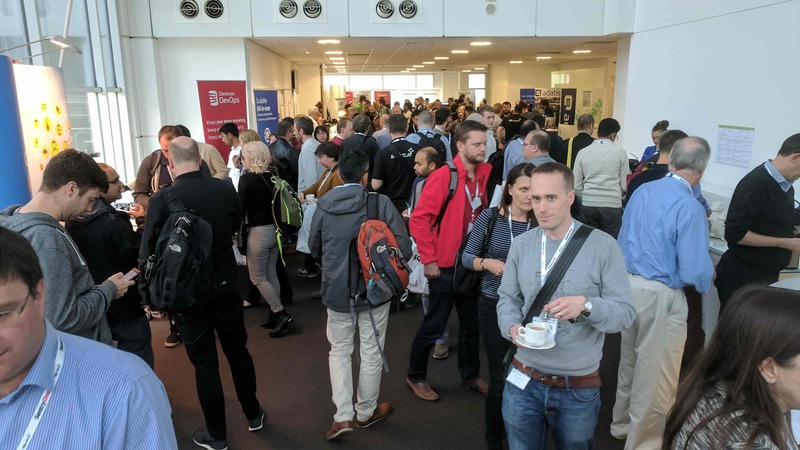 Not only was the problem solved with the silver and bronze sponsors now getting more data than the bronze sponsors, but all of the sponsors I have spoken to about the total numbers got more data from SQL Relay than they got from any other UK Data Platform conference. Transport: In previous years we have rented a minibus to transport the committee and the speakers around the country. This year we added a van to transport gear. Next year we will be adding more transport capacity for sponsor gear and people, but we’ll need them to pay based on the amount of space they need to cover the cost. This should significantly reduce the logistical burden on them. Booth locations: In previous years we didn’t specify the booth positions at each venue. It was just another logistical thing to worry about and we tried to minimise logistical complications as much as possible. However, it’s fair to say it was a bit of a free-for-all at each venue in the morning and our sponsors have been clear that they would like booth locations to be chosen in advance. Fair cop. That’s what we’ll do. And as soon as you sign up you can pick your booth locations. That’s right, first come first served. Interested? Scotland: We really want to take SQL Relay outside of England but Edinburgh, Glasgow, Belfast and Dublin (for example) are so far away it’s impractical. Cardiff is closer but we went regularly in recent years and after a fantastic Bristol event in 2017 we’d like to give the “Brizzle” crowd another crack at the whip. 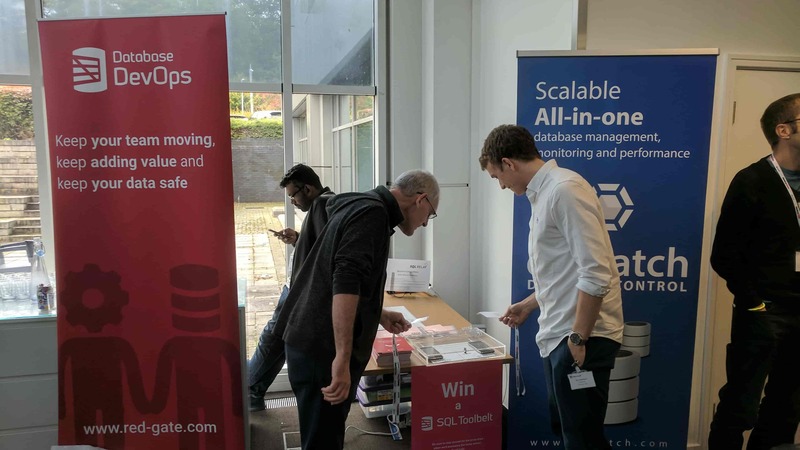 In an effort to resolve this conundrum we’ve decided to work closely with the folks at SQL GLA to support them to build on the momentum from their awesome 2017 event to put on a full day conference this year in Glasgow, about a month before SQL Relay. We’ll be helping with various logistical details behind the scenes and we’ll be offering great deals to sponsors who want to sponsor both events. This way we can contribute to the SQL community up in Scotland in a practical way but the Scots can take the lead. Honestly, what’s the point in them? Perhaps it’s a SQL Relay thing? Let me tell you a story about swag bags at SQL Relay. 6 months before SQL Relay: I email sponsors telling them they need to send us 1,000 fliers for the swag bags. 2 months before SQL Relay: I remind sponsors we need their fliers. Also, could they let me know what cool swag they want to add to the swag bag? 2 weeks before SQL Relay: I ask sponsors when they will be sending their fliers and swag. 1 week before SQL Relay: The sponsors ask me how many fliers they need to send us. (1,000 please.) 1,000! But that’s loads. It’s going to cost an arm and a leg and a few acres of the Amazon rainforest. (Yeah, sorry.) OK, we’ll send it across. But we won’t be adding any other swag items to the bags. 1,000 bottle openers/USB sticks/bouncy balls/notepads will be too expensive. We’ll put them on our booth instead. The result: 1,000 boring swag bags with no cool swag but lots of paper and plastic that will shortly end up in landfill. (Unless the venue has really big recycling bins and all the attendees neatly separate out the plastic and the paper). I think during the whole 5 days of SQL Relay 2017 I only saw one or two attendees look in the bags. Every sponsor I talked to about this idea of scrapping swag bags was relieved. They were excited about how they could reinvest the money saved on better swag for their booths and higher quality fliers that they’ll restrict the relevant people. And the organising committee are excited about how much simpler our logistics will be. Some people raise the question about what about the people who want a bag to store the stuff they pick up from sponsors. Well, we might invest in fifty or a hundred nice hessian bags that we can give out on demand. So, erm, yeah. I’m calling it on swag bags. Want to sponsor SQL Relay? 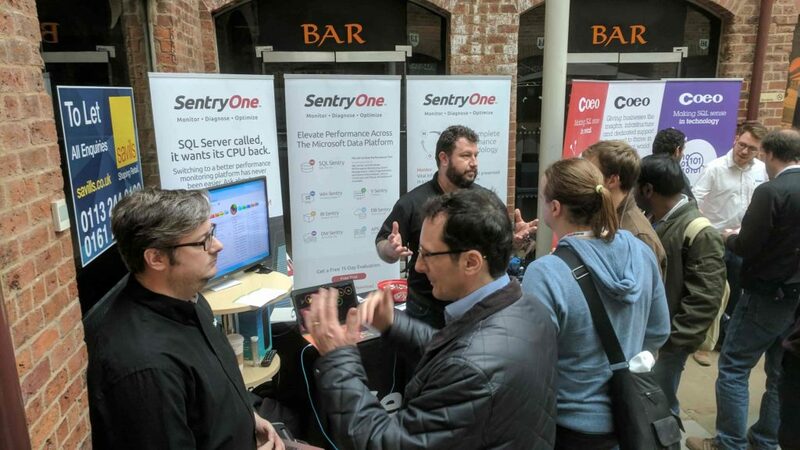 SQL Relay will be hitting 5 cities in England during October 2018. If you want to sponsor us, email me: sponsors@sqlrelay.co.uk. However, you should know that we value our relationships with our sponsors and those relationships last more than one year. We won’t be taking on any new sponsors until SQL Bits to ensure that all our existing sponsors have an opportunity to renew their sponsorship first. Totally agree about swag bags – I look for valuable stuff in there (pens, USB drives, etc) and then bin the rest. Just means more work for hotel staff, more stuff in landfills, etc. So do you fancy sponsoring SQL Relay then? Do you still want helpers at events or am I going the way of the swag bag? SQL Relay is a great event and look forward to it every year. Totally agree with the swag bags though I do give my stuff to the kids at codeclub who are extremely grateful for tech goodies including stickers etc. Always looking for helpers. Even without swag bags there will still be plenty to do. And my hope is that by removing swag bags we will be removing the pointless massive quantities of swag and hence enabling sponsors to improve the quality, giving something really special to the people that go and speak to them on their booths. Totally agree with the Swag bags! Totally agree on the swag bags! It takes so much time just to assemble them while they usually get ignored except for pen and paper! Perhaps a pile of pens and notebooks next to the registration desk so the unorganised can grab them after getting their badges?